If you’re into your beauty and your anti-ageing treatments, you’ll potentially have heard of CACI facials. I mean – J.Lo is a HUGE fan, and has been rumoured to have her own machine at home, where an expert will come round and carry out the treatment for her. If there is a facial out there good enough for the Queen that is Jennifer Lopez, then I had to know more about it. For those who aren’t too sure exactly what it is, I’ll give you a little introduction. I had heard a lot of positive feedback around CACI facials from one of my friends who swears by them – she literally has them all the time. Every so often, you come across a treatment, brand or product that makes you wonder why you didn’t try it sooner. I would say the CACI Non-Surgical facial is mine. Having seriously upped its facial game recently, CACI facials deliver dramatic results without the need for surgical intervention. 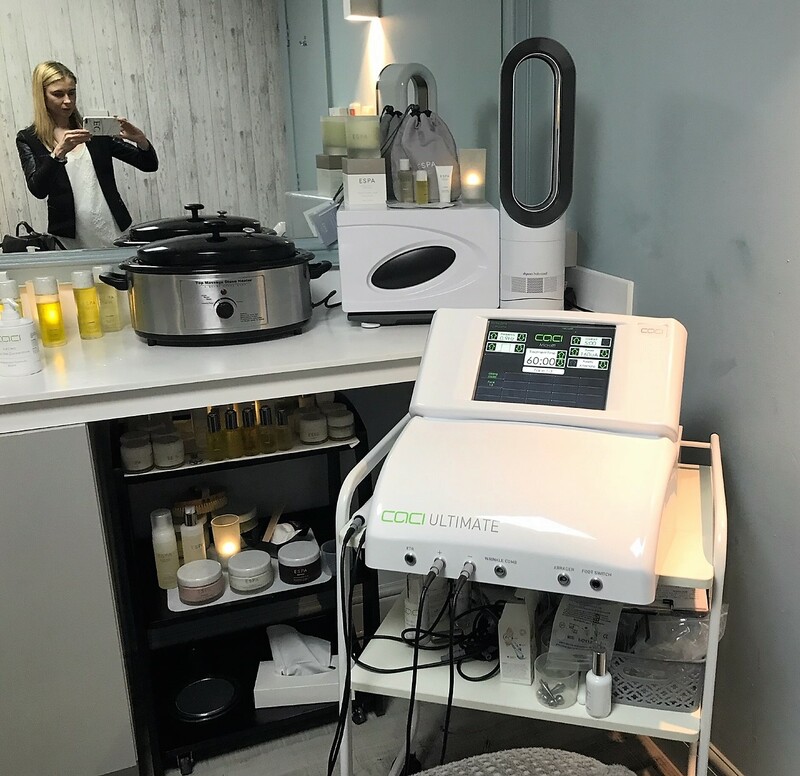 They have been created to offer the ultimate anti-ageing treatment system, using LED light therapy (a warm, coloured light that penetrates deep into the skin). 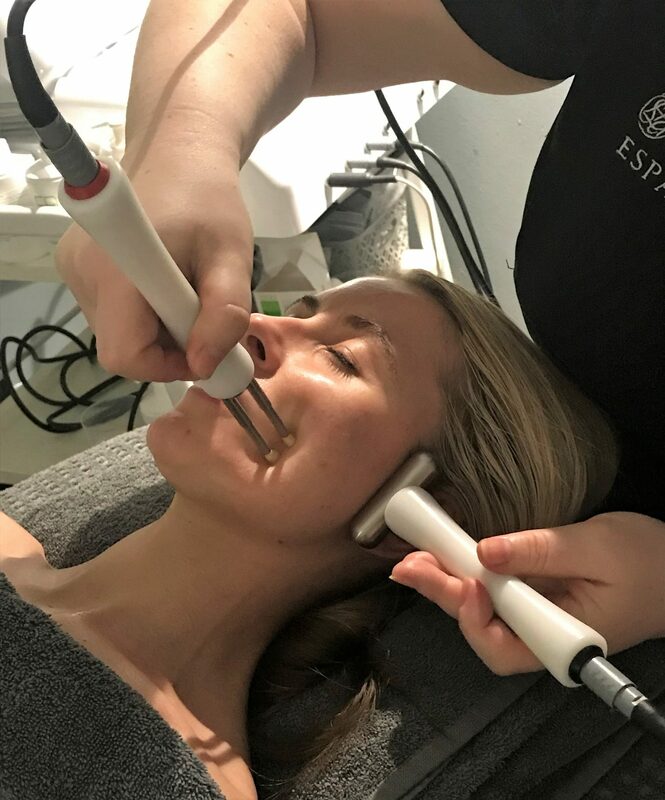 It’s technology enables clients to experience a tightening and lifting experience of their facial muscles, with the result of dramatic improvement to their complexion at the same time. 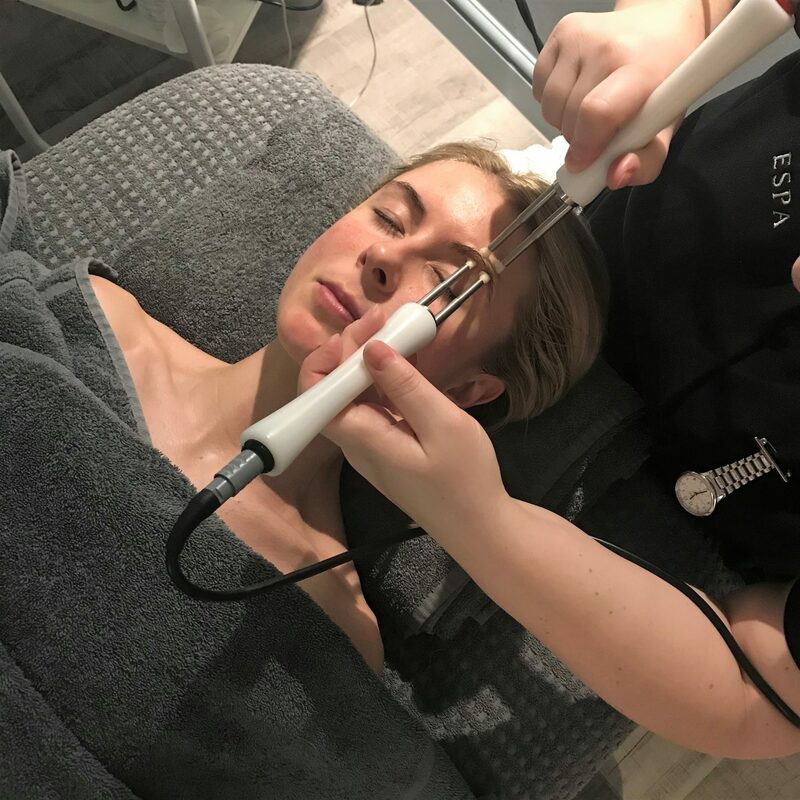 In a nutshell, it works to offer lymphatic drainage, peeling, cleansing and toning, as well as banishing deep lines with help from the clever wrinkle comb applicator which they use, to help plump the skin and soften lines. Smart, right? 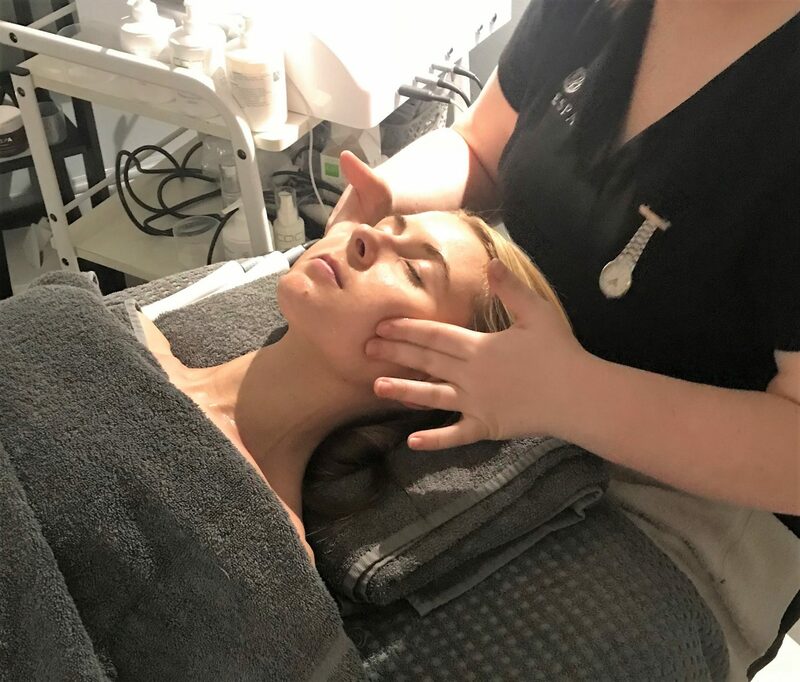 I headed to the spa at the Village Hotel in Bury to finally experience this raved about treatment, and I have to say I was super excited. I’m 31, and have a fair few wrinkles forming, mainly from squinting. But more so, my skin isn’t very firm, and it’s also extremely dull. Ever feel like you just want to pull your skin back and make it all taunt and tight? Well that’s how I feel! 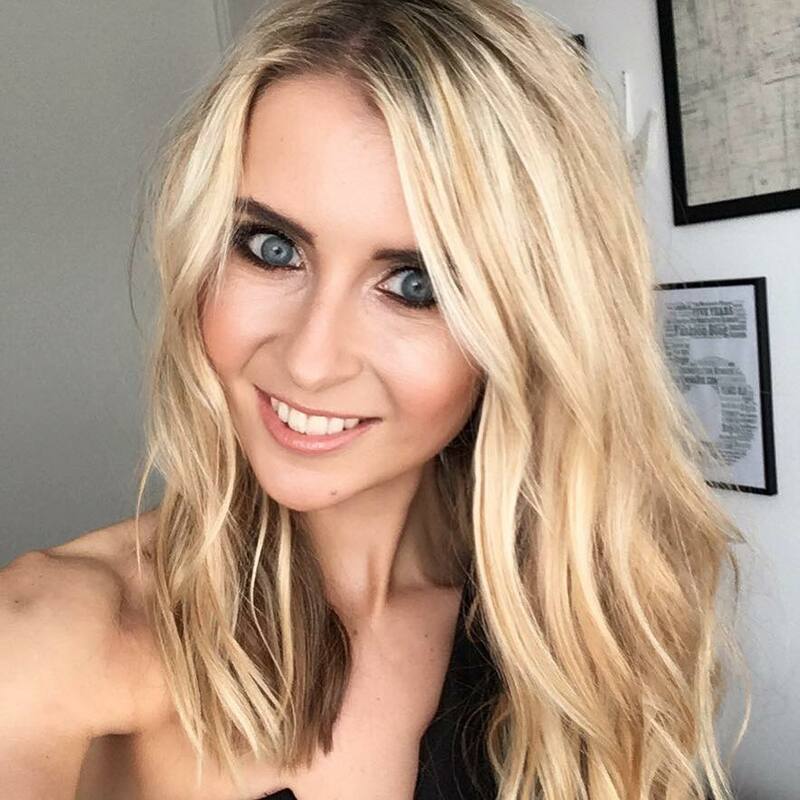 Before my CACI Non Surgical facial, I had a thorough consultation with the therapist at the Village Hotel Spa, who analysed my skin and talked it through with me, to establish what kind of results I wanted to achieve (tighter, firmer, healthier looking skin). 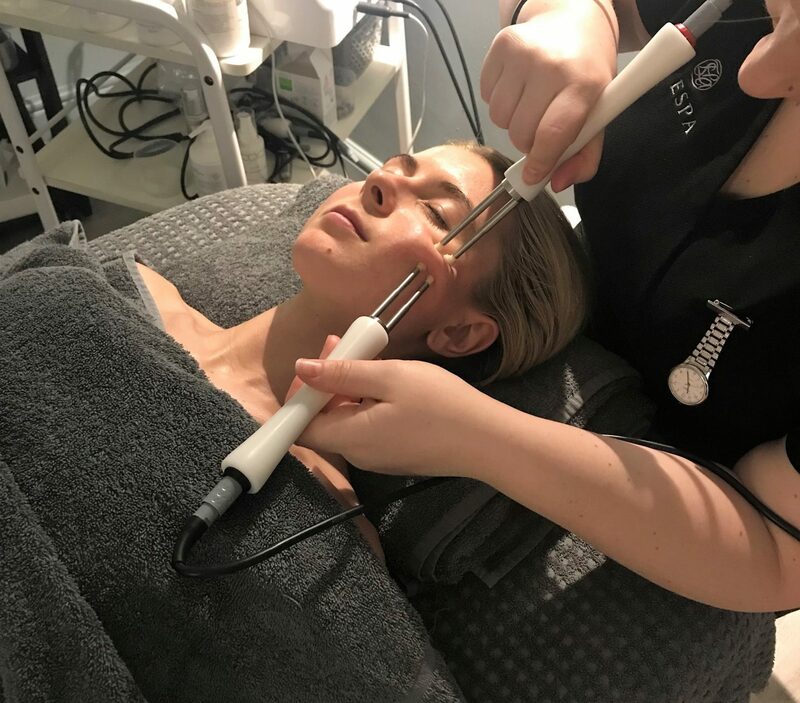 She advised that all CACI facials create a warm and energised feeling on the skin, and although I should expect a slight tingling sensation, the treatment is very comfortable. 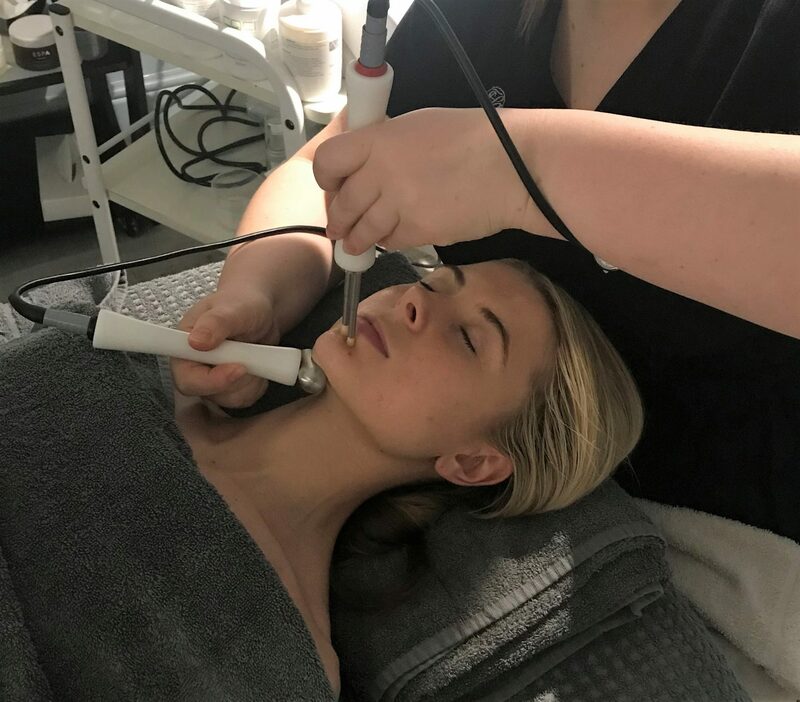 The facial lasts around 90 minutes, and she started by doing a full cleanse of my skin, before using the CACI device to start doing its magic. 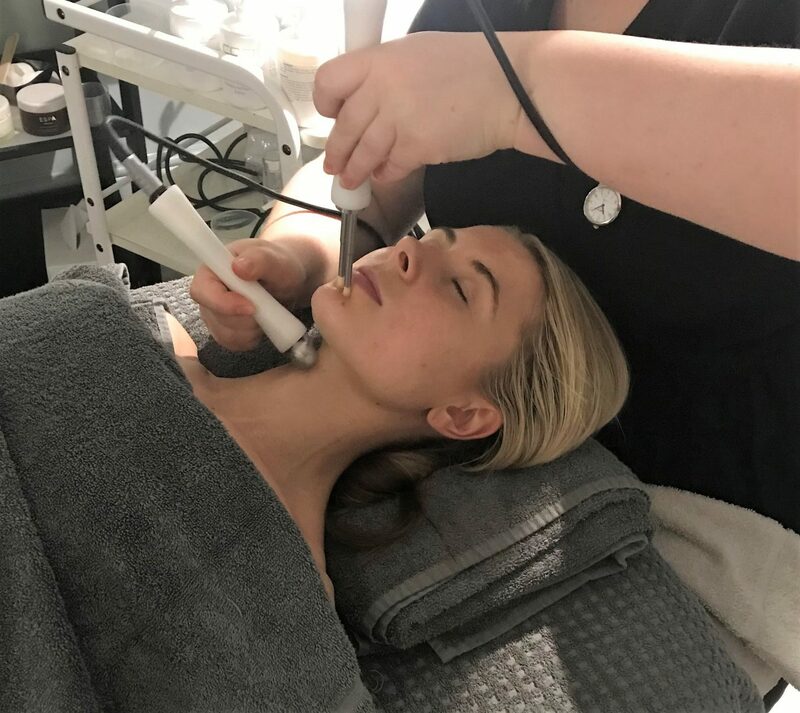 The Non-Surgical facial is filled with hyaluronic acid, collagen and rose water, aiming to provide skin with an extra boost of hydration for a plumper effect. They do say it can take a course of 15 to see real ‘wow’, facelift type effects, but after the first one, you should see obvious differences to the firmness and overall look of your complexion. The deep-cleansing is carried out first via an ultrasonic method, clearing out the impurities that lay deep down within my skin. During my treatment, it used orbital microdermabrasion to exfoliate and deeply cleanse my skin, to encourage a brighter, smoother complexion. 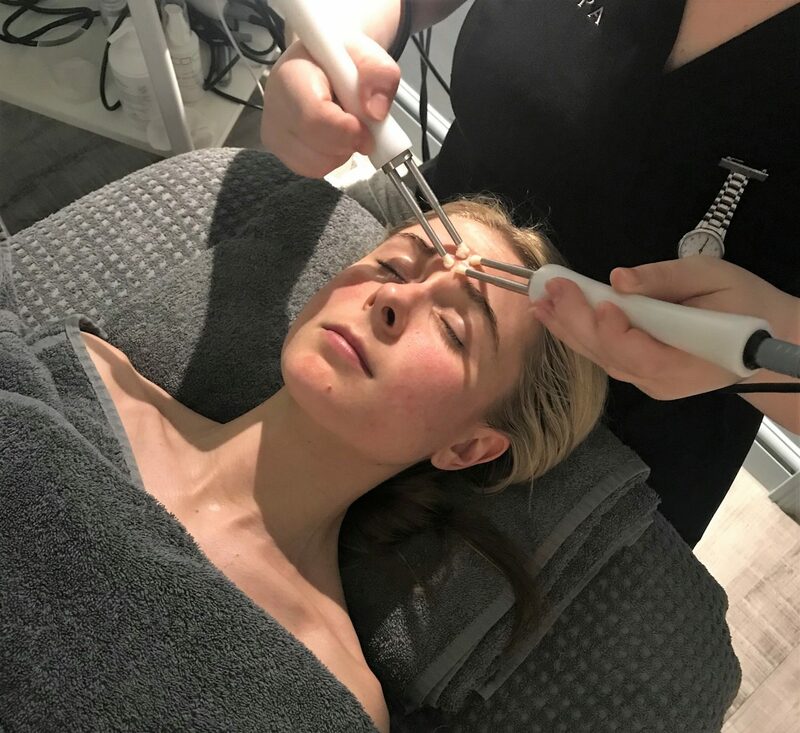 Then, CACI‘s unique Wrinkle Comb is applied to the skin to target fine lines and wrinkles, which they say provides a non-invasive alternative to collagen injections, in which then the LED light therapy kicks in to heal and trigger tissue repair. 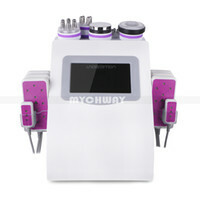 The facial was then completed with the CACI Hydra Mask, that intensively hydrates and nourishes the skin. After the facial, my skin looked fresh, glowing, and dare I say it…. lifted? I wasn’t too sure if I was being too observant of it, but I headed to a Beauty PR meeting straight after, in which I told the team I had been to experience a CACI facial, and they lept into compliments about how bright and glowing my skin looked when I walked in the room. As far as redness goes, I had a little red patch of two around my cheeks (the cheeks were the area I expressed a major concern for), but they literally faded by the time I had drove back into Manchester for my 35 minutes car journey. A CACI Non Surgical facial, 90 minutes long which I had at the Village Hotel Bury, costs around £88 per treatment, although you will get a saving when a course of 12 are booked, coming in at £880. 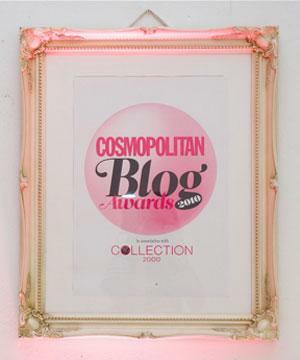 They do other CACI treatments too at the Village Hotels, including an Eye Lift and an Electro Cellulite Massage. You can find the full list here. Wow how interesting! I’ve never heard of this before! The pronged thing looks a bit scary, but I trust your judgement! Hehe!